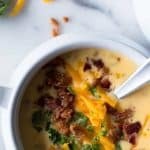 30 Minute Beer Cheese Soup. 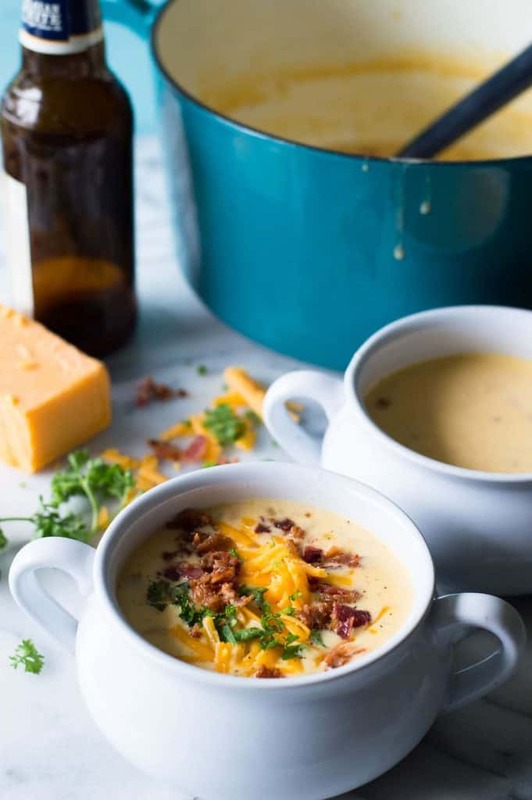 Creamy, comforting beer cheese soup. 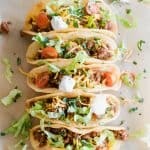 This easy dinner recipe can be done and ready to eat in 30 minutes! 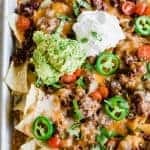 Perfect for a family weeknight dinner. This soup is ultimate comfort food. Not only does it come together quick and easy. 30 minutes. And one pot. This soup is loaded with flavor. Thanks to a blend of celery, bell pepper, onion and garlic being sautéd in butter. Once our veggies are softened a small sprinkle of flour helps to make this soup thick and velvety smooth. You can use any beer you may have on hand. Or pick up a single bottle from the market of something tasty. The alcohol will cook out, which means this soup is perfectly safe for kids to enjoy. But the taste of the beer will remain. So pick a good one! 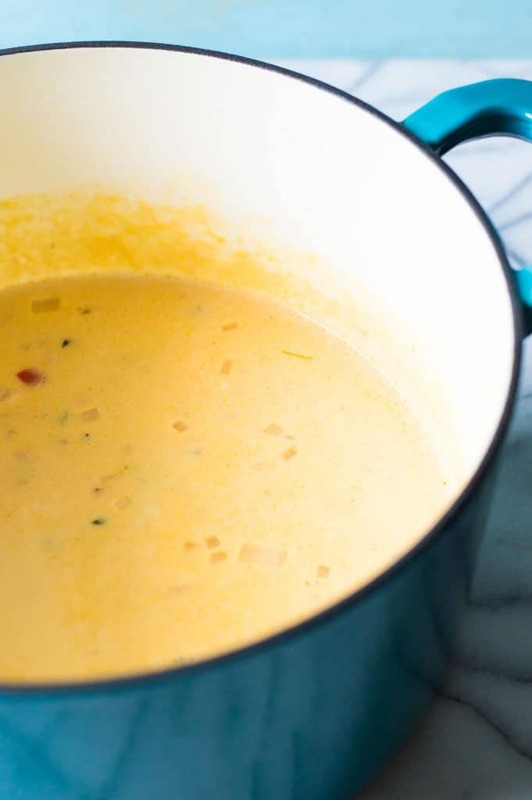 The cheese used in this soup is what gives this soup a wonderful smokey flavor. We’re using a sharp cheddar cheese and a smoked cheddar. 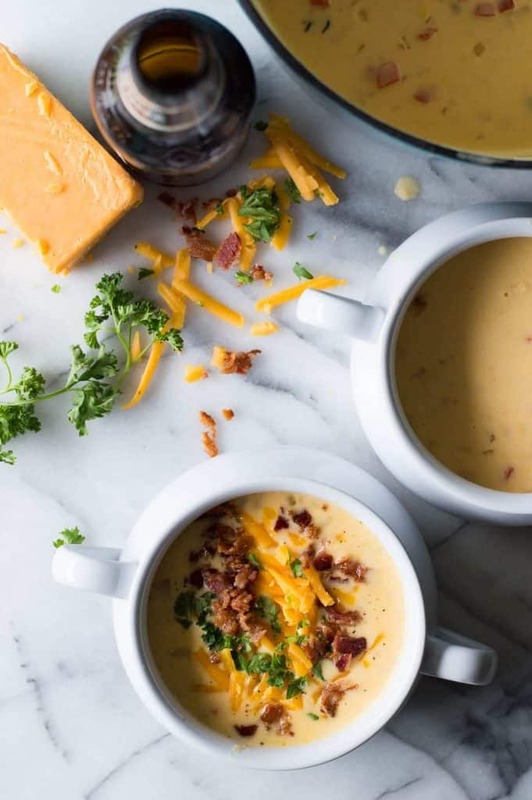 WANT TO TRY THIS 30 MINUTE BEER CHEESE SOUP? Melt the butter in a large Dutch oven or soup pot over medium-high heat. Add the celery, onion, bell pepper and minced garlic. Stir while sautéing for about 5 minutes until the veggies are tender and the onion is translucent. 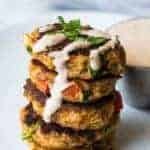 Add the flour and stir until the vegetables are coated in the flour. Add the thyme, beer, chicken stock and heavy cream. Stir until fully combined. Bring to a boil then lower the heat to medium. Continue to cook for another 15 minutes. Remove the pot from the heat and stir in the sharp and smoked cheddar cheese. Add salt and pepper as needed. Stir while the cheese melts. 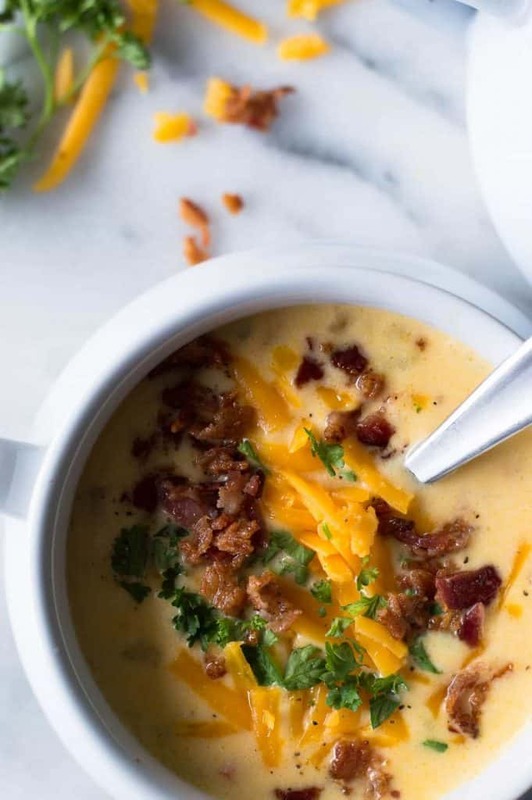 Serve soup warm garnished with parsley, more shredded sharp cheddar cheese and fried bacon on the top. This looks so yummy! 🙂 Can’t wait to try it! And I would love to win the copy of the cookbook! 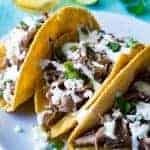 My go to one-pot recipe is chicken tacos in the crockpot. Chicken breasts, salsa, spices, peppers…all go in and get happy all day long and are ready when I’m home from work! 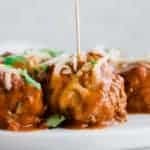 I love making a quick pasta bake with pasta sauce, pasta, shredded pizza blend cheese and meatballs. The family loves it. Thanks for the chance to enter.